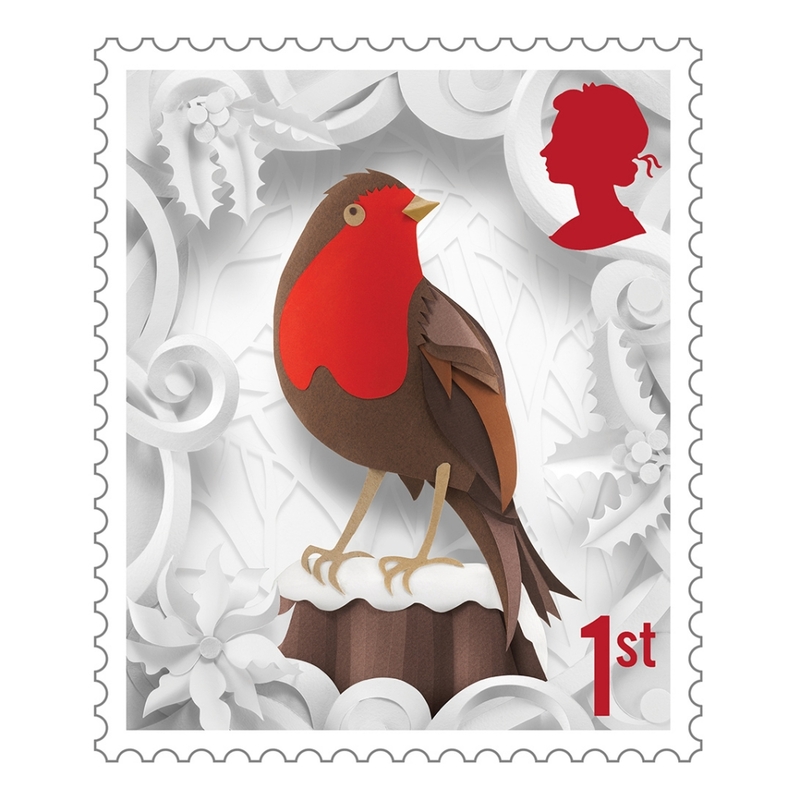 This Christmas Helen Musselwhite has been commissioned by The Royal Mail to design & create their Christmas stamps, and my goodness she’s done a wonderful job! The brief was simple, to create a collection on non-religious stamp designs in her unique and detailed style but simple enough to have the same impact on a very small scale! 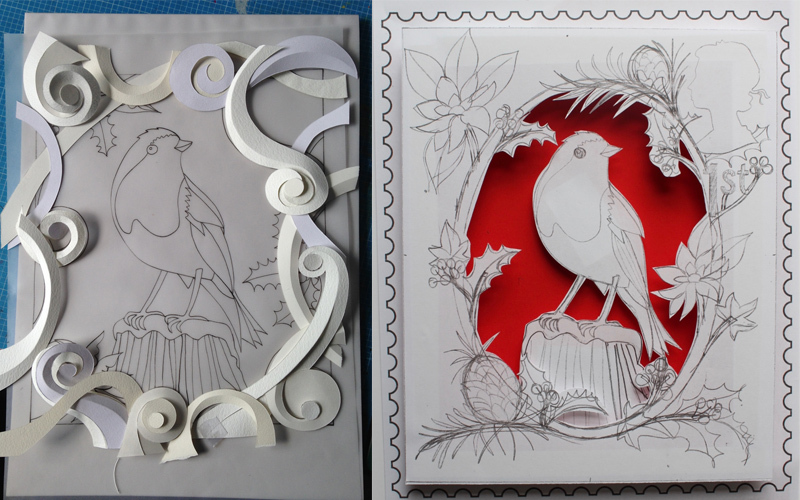 Drawing on traditional festive imagery Helen embraced holly and robins, christmas puddings and snowmen! It’s fascinating to see the process Helen goes through for a job like this, from initial sketches, to tests to the photographic stage. “Most of my work is about creating intricate layered scenes & little worlds that intrigue and draw in the viewer. The first stage (of many) was pencil sketches. After refining the sketches to a set of 7 coherent designs accurate line drawings were made of each of the 3 layers of each design. The layers were then photocopied and made into facsimiles so the content/layers could be refined. 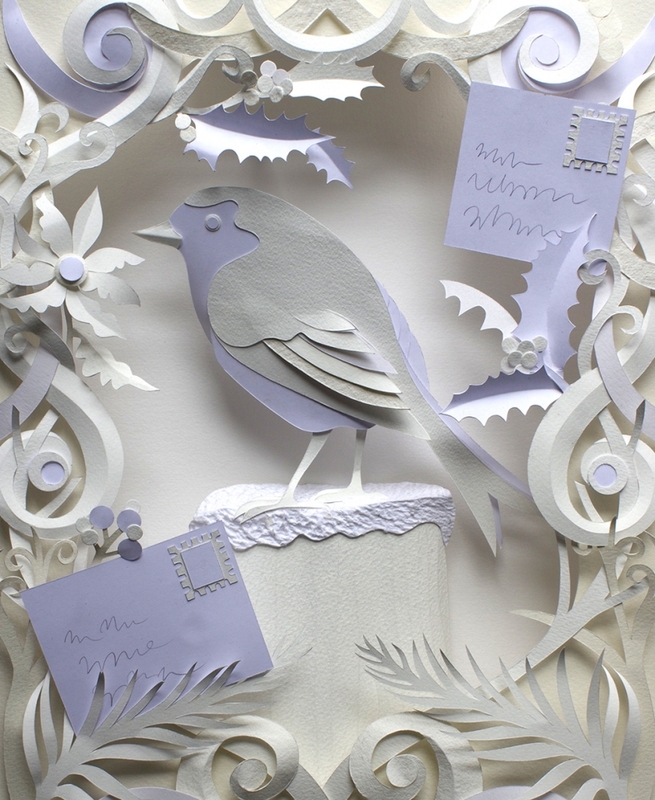 Each layer was then transferred, by pencil onto tracing paper, and copied, again by pencil onto the reverse of various weights/ textures of paper and cut out by hand with a scalpel and made into test pieces to be photographed. The hi res images were reduced to stamp size and at this stage changes to the content/ design/ colour of papers were made. The last analogue stage was to make each of the 7 paper sculptures in the chosen papers (7 designs, 3 layers in each so 21 hand cut layers). 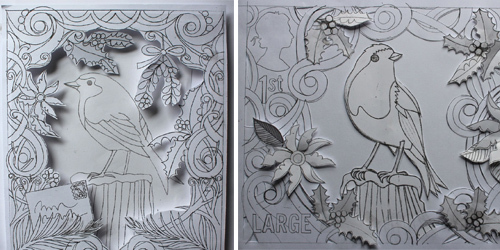 Each paper sculpture was approximately A3. The next stages are digital – photography and retouch – and every bit as time consuming and detailed as the making stages. “As my work is always photographed emphasis on the manipulation of the papers is really important. 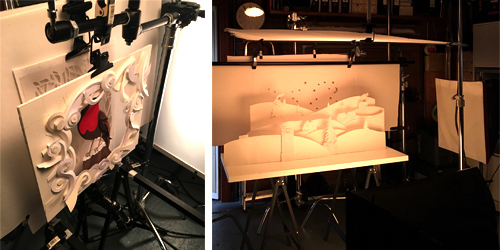 Scoring, folding and curling the paper are integral processes and in conjunction with considered lighting by the photographer the paper sculptures come to life.